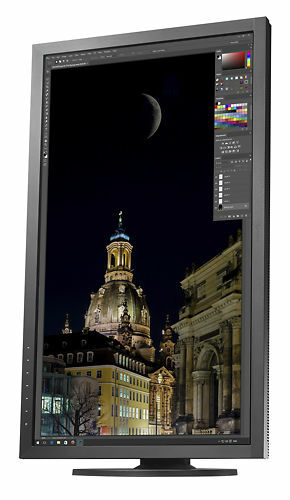 The new CS2730 is a 27" professional slim bezel monitor made specifically for photographers and designers. It features an excellent LED backed IPS panel with a wide colour gamut - 99% of AdobeRGB. Direct Hardware Calibration is also supported with the included Color Navigator software, you just need to add a compatible sensor. We recommend the X-rite i1 Display Pro as it's very accurate. Thanks to the LED backlight and Eizo's DUE uniformity correction, the panel is very even across it's field. The screen coating is a very high quality anti-glare matte coating. 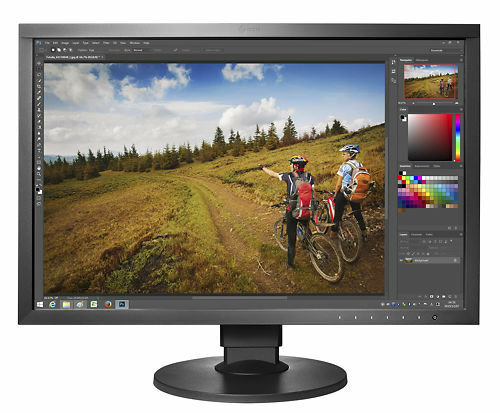 All Eizo ColourEdge monitors come backed by a manufacturer’s five-year warranty. The ColorEdge CS2730' spacious screen and user-friendly design sets the stage for hobbyists and prosumers to unleash their creative passion. The spacious 27-inch screen of the ColorEdge CS2730 has a native resolution of 2560 x 1440, which offers a pixel count of double that of 1280 x 1024 and 60% more than 1920 x 1200 resolutions. This gives you ample space to work with images, tool palettes, and other applications. Fluctuations in brightness and chromaticity on different parts of the screen are a common trait of LCD monitors. To counteract this, ColorEdge monitors are equipped with EIZO's patented digital uniformity equalizer (DUE) technology to ensure stable image display and counterbalance the influences that a fluctuating temperature may have on colour temperature and brightness for stable image display. DisplayPort, HDMI, and DVI-D inputs are included and support various types of graphics boards. The HDMI input also offers direct connection with digital cameras. Two USB upstream ports allow two computers to be connected at once so it is not necessary to reconnect the USB cable when using the ColorNavigator 7 software and switching between computers. An optional shading hood is available that effectively prevents glare on the monitor's screen caused by ambient lighting. The hood is designed to “stick” to the monitor magnetically. This means you can attach the hood quickly and easily without needing to connect separate parts. This monitor supports Direct Hardware Calibration and comes with a full version of ColorNavigator to achieve this. However a calibration sensor is not included and needs to be purchased to take advantage of this system. 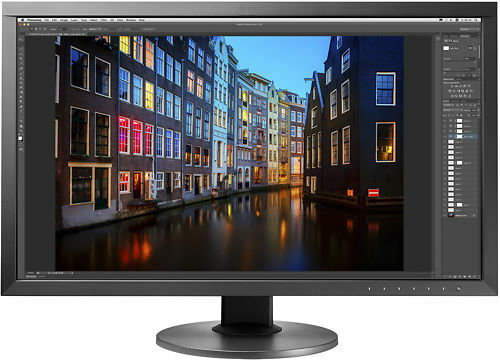 Hand curated articles, links and downloads to help you get the best from your Eizo ColorEdge CS2730 27" Monitor. How to calibrate an Eizo CG Monitor using ColorNavigator. A short article discussing the problem of monitor flicker with tips and buying suggestions to combat the issue. This article discusses the various aspects to buying a monitor dedicated to high quality imaging work. 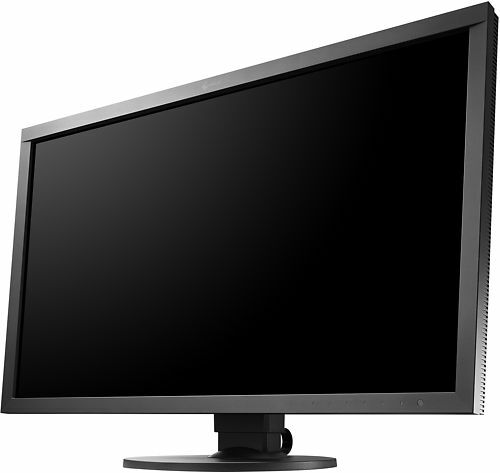 EIZO monitors are backed by a manufacturer’s 5-year warranty that covers all components including the LCD panel. 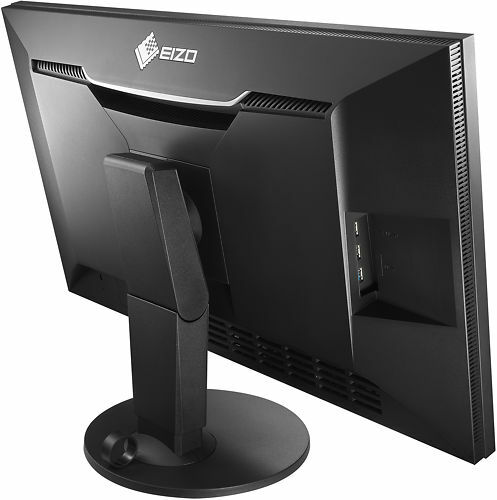 EIZO can offer this because it manufacturers its products at its own factories. This allows EIZO to keep tight control over production quality and ensure that its monitors are built to last for 5 years and more. Of course, see the Eizo warranty page for full term & conditions. Hi Jeremy, just wanted to say thanks for the advice and recommendation for the CS2730 and I'm very happy that I upgraded. The CS2730 is a great monitor and although it just a hobby I'm amazed how it has transformed my work flow. I only now appreciate how bad my 'calibrated' Dell monitor was and that it was the reason I was having trouble going from screen to print. Having custom profiles and the fact that I can set the white point to the target paper is a huge feature! Using this monitor has made it so much more relaxing and enjoyable processing my photos.